Little Cordelia Abbott (Sophie Pollono) is now in Soap Heaven with her bitchy ghost Paw Paw John (Jerry Douglas), her big cousin Colleen and the rest of Genoa City&apos;s not-quite walking dead on The Young and the Restless. While many fans were initially incensed at the thought of yet another Abbott being killed off this soap — especially under the stewardship of Jill Farren Phelps (Sorry, but the lady does sort of have a rep for gutting popular characters on sudsers! ), there&apos;s no denying the death of Billy (Billy Miller) and Chloe&apos;s (Elizabeth Hendrickson) little girl has provided The Young and the Restless with its most powerful umbrella storyline in years. Miller, Hendrickson and Greg Rikaart (Kevin) have been turning in Emmy-worthy performances as Billy, Chloe and Kevin&apos;s grief over their daughter threatens to consume them. Michael Muhney, whose Adam Newman accidentally caused the death of the young girl whose corneas ultimately saved his son&apos;s eyesight, has also more than risen to the occasion, as has Melissa Claire Egan (Chelsea). Even Amelia Heinle, who rarely receives kudos online for her very non-Heather Tom version of Victoria Newman, has proven a stunning supporting player in this arc. The tragedy has also served to shore up the central families of Genoa City — something Y&R has desperately needed to do. Jill (Jess Walton), Ashley (Eileen Davidson) and Traci (Beth Maitland) Abbott all returned to be there for Billy. Jack (Peter Bergman) finally showed himself worth to carry the mantle as the new patriarch and even newbies like Kyle (Hartley Sawyer), Abby (Melissa Ordway) and Summer (Hunter King) didn&apos;t seem so islanded and out of place for a change. I can&apos;t be the only one who choked up when the Abbotts had one of their traditional family breakfasts, in a well-meant attempt to cheer Billy up. The only thing missing was Mamie (Veronica Redd) and her sticky buns! 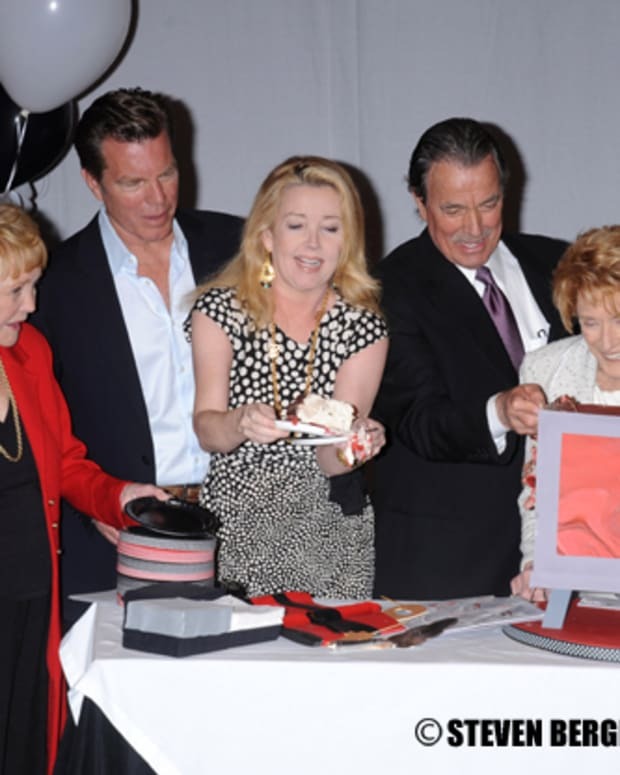 The Newman and Chancellor households were also places of strength and solidarity, as practically everyone in Genoa City came together to mourn this child who was beloved by so many. I guess my big question is, after all was said and done, was it worth it? Was it smart for The Young and the Restless to kill off Delia? Three Things to be Young and Restless About Right Now!